I, Tonya has been touted as being an awards favorite for some time now, and with that buzz I became very excited to see the film. With a lot of these Oscar movies, I try to avoid the trailers as much as I can. But usually, with the giant blockbusters, avoiding trailers is nearly impossible. However, with something such as an I, Tonya, it's actually rather manageable. Out of all the times I've been to the theater and have sat through countless trailers, I think I only ever saw a trailer play for this movie once, and that's it. I wasn't overly familiar with the true life event either, so I went into the movie rather blind. And I do think that is the best way to see I, Tonya. It is electrifying and surprisingly hilarious, giving you everything you want in a movie from laughs to thrills to chills in this (sometimes emotional) roller coaster. Ice skater Tonya Harding's (Margot Robbie) methods for competition are brought into question when her ex-husband (Sebastian Stan) intervenes with her Olympic chances. This is one of the most unique movies of 2017 I have seen. It takes an incident that is deadly serious, and transforms it into this whimsical, eccentric, fourth wall-breaking mania fest without ever minimizing the severity of the situation, which is a nearly impossible task. From the opening shot, I was whisked away by this film. This is a movie that could be categorized as a "ride", which is a strange way to put it but it oddly fits. You get a great sense that every single character in this movie is chemically imbalanced, but they all justify their actions through their own twisted thinking. Margot Robbie is excellent as Tonya Harding. She completely disappears in the role, as she shows us how unbalanced Harding is, while also simultaneously trying to convince us that she's in the right. Through an ingenious use of video confessionals, we get to see multiple perspectives on different events, and we get a window into how each characters' minds work. Every character thinks they are right and everyone else is wrong, and the film captures these mindsets in a really fascinating way. Allison Janney steals the show every time she is on screen. She is brutal and ruthless, but you can understand why she is the way she is. 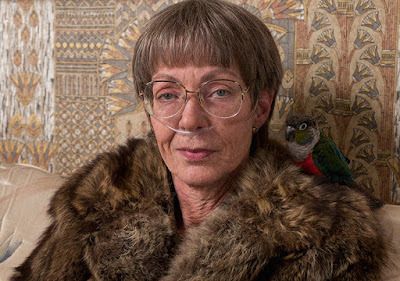 She definitely gives one of my favorite supporting actress performances of the year, if not my top favorite, and I do think the Academy Awards will honor her for this. I actually wish she was in the movie a little bit more than she was, just because of how good she is. While the performances are all spectacular, what really draws me into this film is how it is told. Director Craig Gillespie uses a lot of unique and different techniques in order to tell the story, and it makes the film stand out all the more. From instances of fourth wall breaking, to the aforementioned confessionals, to the use of slow motion, Gillespie crafts a film that is unrelenting in terms of the innovation used to tell the story. I, Tonya has a rapid fire pace, a refreshment after a consistent criticism I've had with some of the past few films I have seen has been them having too slow a pace. Humor is also brilliantly injected throughout the movie, keeping I, Tonya from becoming too serious of a drama. Paul Walter Hauser gives the best comedic performance of the movie. Every single time he is on screen, I was cracking up laughing. He is such a moron of a character that it makes every thing he says and does unbelievably funny. He shines in this movie, and I feel he is not getting as much credit as he deserves. The skating choreography is also fantastic. While she clearly didn't do some of the truly top tier stunts, Robbie learned how to skate for this movie, and she plays it off as if she has been doing it her entire life. It gives a lot of credibility to these scenes. as you could clearly see that it is Robbie performing these stunts. I don't have too many negatives for I, Tonya. One nitpicky thing concerns Sebastian Stan's performance. I like him in this film, but he definitely gives the weakest performance of the movie. You can't really blame him, considering just how good Janney, and Robbie, and everyone else is. But sometimes it feels as if Stan is trying too hard, and some of his lines come across as disingenuous, whereas Janney and Robbie truly lost themselves in their characters. For such an immersive movie, sometimes Stan pulled me out of it, and that was bothersome. I also wish they gave us a better understanding of the worldwide buzz surrounding this incident. We continuously see reporters and we keep hearing that this is a major issue. At one point, Harding even says that she is the second most known person in the world behind Bill Clinton. But the movie never explains why this became such a big issue. For a person who didn't personally live through the real-life events, it would have been nice to know why this crossed over from being a big deal within the figure skating and Olympic world, to being as highly of a discussed and talked about issue globally as it apparently was. Also, a small portion of the film takes place when Tonya and Jeff are teenagers, and Robbie and Stan play these fifteen year old versions of themselves. It just did not look believable one bit. Jeff clearly looks like he is in his thirties, despite playing himself off as being in high school. I wish they had simply cast teenagers to play these parts, because it looked kind of ridiculous having the adult actors in wigs and braces. Overall, I, Tonya is a fantastic ride of a movie. It doesn't take itself too serious, but it never loses sight of the severity of the events that took place. 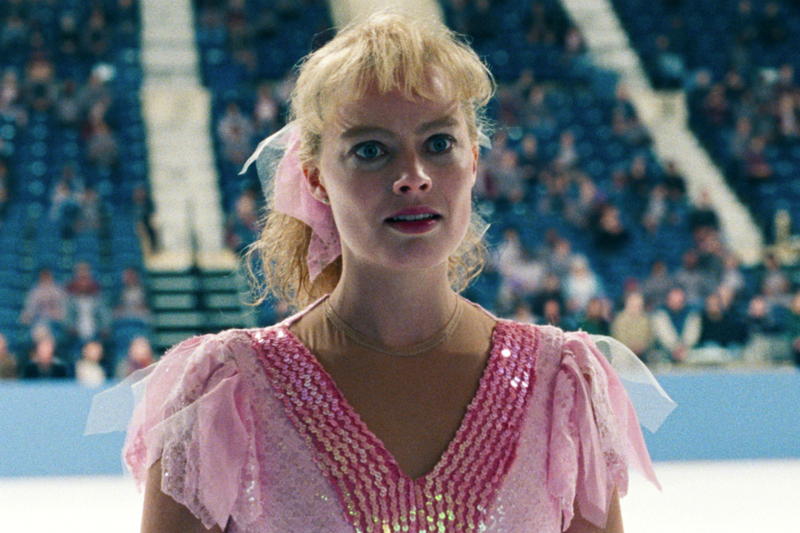 Margot Robbie is fantastic as Tonya Harding, and completely transforms herself for the role. It is also great to see that she does most of the ice skating stunts herself, adding to the credibility of these scenes. Allison Janney is brilliant in this movie, delivering a ruthless but entertaining performance. Paul Walter Hauser gives the single funniest performance of the film, and has me cracking up every time he is on screen. However, Sebastian Stan probably gives the weakest performance, despite still being very good. It just feels like he's trying too hard a couple of times, taking away from the immersive quality the film has. Director Craig Gillespie utilizes many interesting techniques in order to tell the story, which really helps this film stand out. The use of comedy is also genius, as it keeps you continuously entertained and never bored for a second. Minus a couple of small negatives I had, I found I, Tonya to be a thrilling and relentlessly entertaining movie, one that certainly cracks my list of my favorites films of the year. This is definitely a film worth seeing. What do you think? Have you seen I, Tonya? If not, are you planning on seeing it? Leave your (spoiler-free) thoughts in the comments section below.